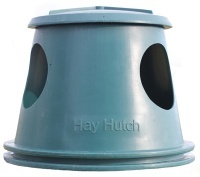 Drill holes for attaching optional Hay Net? (N.B. needs to be purchased seperately. Make sure you select correct size! ): Select:No thanks.Yes please. 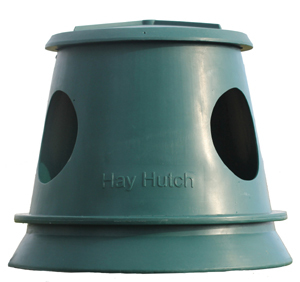 The unit is approximately 900mm diameter at the base, 650mm diameter at the lid and 750mm tall. The feed apertures are approximately 292mm (11.5") in diameter. It is conical so that, should it get knocked over, it should not roll away.